The standard milling head is exchanged for the adapter in just a few steps. Our 20mm collar enables to fasten all appliances of the MICROMOT 50 series, the MICROMOT precision drill/grinder FBS 240/Eand the MICROMOT professional drill/grinder IBS/E. Especially for applications that require high speeds for small milling cutters (e.g. milling electronic boards), but also for micro drilling. 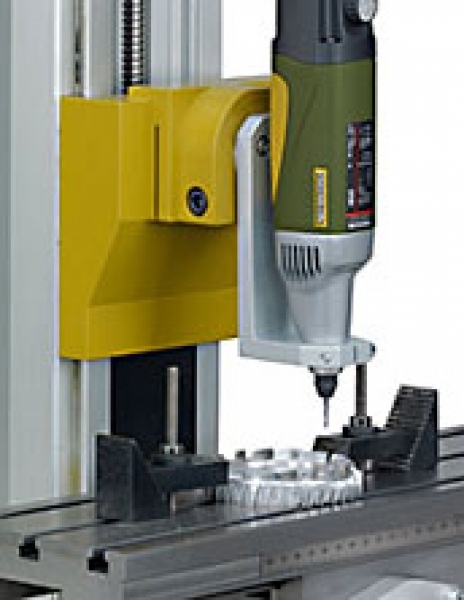 The professional drill/grinder IBS/E or the mill, depicted here is not included. Click the button below to add the MICROMOT adapter to your wish list.